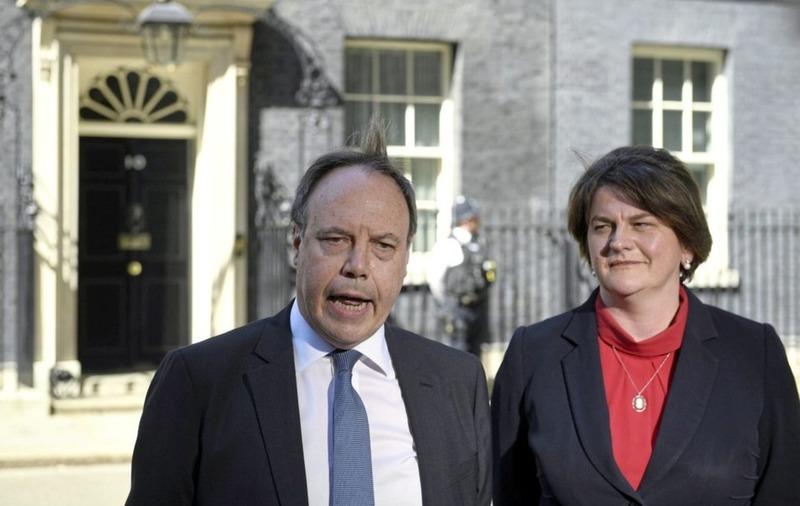 DUP leader Arlene Foster has urged the British government to step in amid the ongoing powersharing impasse in Northern Ireland - saying people are "crying out" for decisions to be made. Mrs Foster and party deputy leader Nigel Dodds yesterday met British prime minister Theresa May in Downing Street. Following the talks, they said Mrs May was considering a "range of options" through which that could happen. 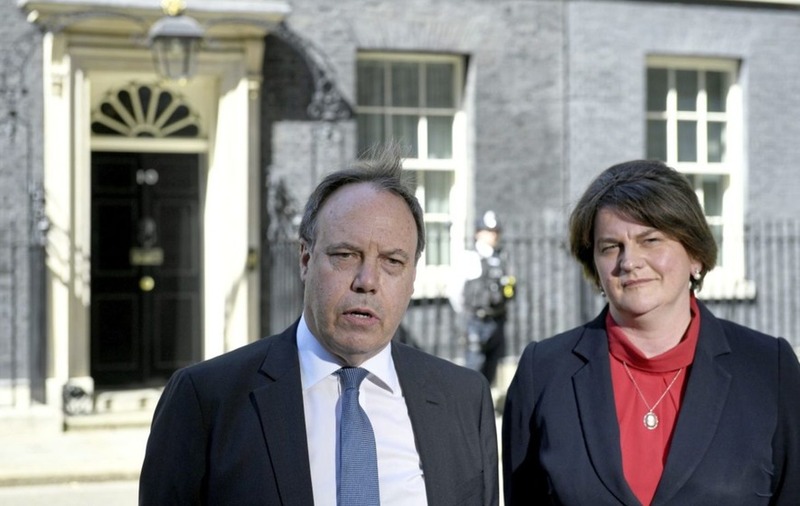 The DUP secured a £1 billion package for the north as part of its confidence and supply Westminster deal with Mrs May's minority Conservative government. Mrs Foster said the implementation of that spending was also on the agenda during the meeting. "I think everyone is crying out for decisions to be taken in Northern Ireland so it is good to hear that the prime minister is looking at a range of options in relation to those matters," she said. The British and Irish governments announced last week that the British Irish Intergovernmental Conference will reconvene, 11 years since its last meeting. The mechanism gives the Republic a consultative role on non-devolved issues affecting the north. While Sinn Féin and the SDLP have long been calling for its re-establishment, unionists say they fear it will hand too much power to the Dublin government. 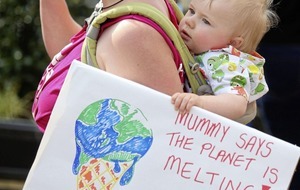 Outside Downing Street, Mrs Foster questioned the forum's worth. Meanwhile, Mrs May is facing increased calls to act urgently to give MPs the opportunity to liberalise Northern Ireland's abortion laws in the absence of devolved structures. 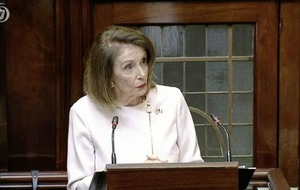 There have been repeated calls for reform since the Republic's landslide Referendum backed repealing the Eighth Amendment. Shadow Northern Ireland secretary Tony Lloyd accused Mrs May of "failing women". Women who have been affected by the restrictions are due to meet MPs in the Commons today to push for action. The DUP are staunchly opposed to relaxing the north's current restrictive laws on terminations. Mr Lloyd said: "Theresa May and her government are failing women on abortion with every passing day. "An immediate action the prime minister should take is to meet with all Northern Ireland political parties and agree legislation on this issue, and then bring this to the House of Commons as a matter of urgency. "Abortion must be decriminalised and a human rights compliant framework for access put in place. Nothing else will suffice. "We must listen to women and the organisations working with them on the need for change and then fulfil our duty to deliver this." Amnesty International's campaigns manager for the north, Grainne Teggart said: "Nothing but an apparent lack of will is preventing Theresa May from doing this. "It's hugely insulting and negligent to women to continue to hide behind devolution as justification for the denial of healthcare that women in the rest of the UK can take for granted. "It is time the prime minister listened to women's experiences and witnessed the harsh reality of a near total ban on abortion."